The crazy duo is back! 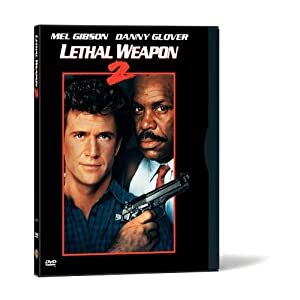 But now Mel Gibson and Danny Glover are accompanied by the wacky Joe Pesci. This second installment of the four-part series is lighter than the first one, but the intense action and cool antics are still there. And now that Pesci has joined in on the fun, prepare for a different Lethal Weapon adventure! Murtaugh and Riggs, our beloved police detectives, now have a smoother relationship with each other. Gibson's character has somewhat recovered from his wife's death. Lots of laughter will ensue now that they are on a new mission to find and put to justice a South African smuggler.